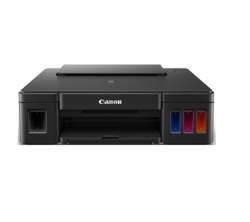 Canon pixma G1010 printer designed for high volume printing at low running cost. Built-in integrated ink tanks create a compact printer body. Users can also view remaining ink levels easily at a glance. Choose from over 100 types of templates to create posters or flyers for small businesses. Improved colour image quality with sharp black text.